Product Features This gentle soft cream cleanser is specially formulated for dry and sensitive skin, or for those who have had laser or facial treatment. It contains various soothing ingredients including Matricaria Flower Extract, Witch Hazel Leaf Extract and Rosa Multiflora Fruit Extract to give excellent calming, anti-inflammatory effects and tranquilizes skin redness. 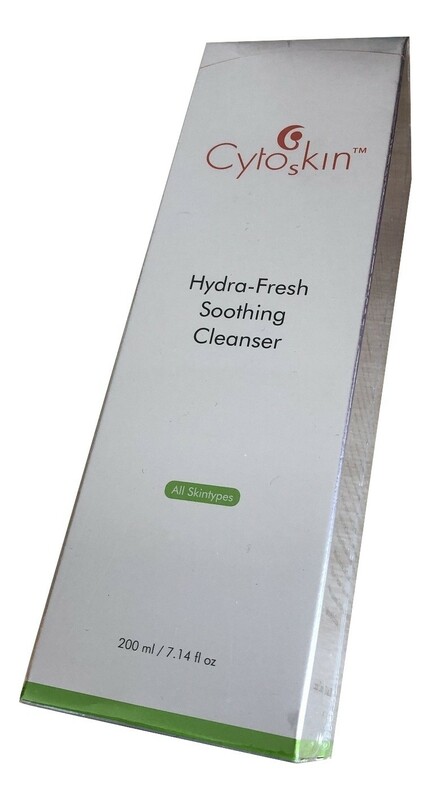 Combined with Aloe Barbadensis Leaf Juice, Portulaca Oleracea Extract and Allantoin, this cleanser can provide a strong hydration to skin after deep cleansing, leaving a clean, refreshed and moisturized face. Benefits Mildly remove dead skin and dirt Anti-inflammatory and reddening, soothing skin irritation and sensitivity Enhance skin lock, long-lasting moisturizing Promote wound healing and repair Antioxidant, prevent skin aging Directions Squeeze a small amount onto palm. Apply on pre-moistened face and neck with little lukewarm water. Lightly massage to remove impurities. Wash and rinse thoroughly with water. Use this cleanser am pm.